Starts Monday 29th of April, 2019. Start in 3 Easy Steps! Structured food plans that tell you what to have for breakfast, lunch, dinner and snacks (but with flexibility and built-in choices), delivered by email a few days before the start date. You’ll get the best tips for staying motivated, conquering cravings, emotional eating, resisting temptation, setting realistic maintainable goals and much more. Your exercise plan can be done from home, the gym or at fitness classes. We cater to all types of fitness levels from beginners to advanced and including those with mobility issues. Better sleep, better hormone balance, better mood and better weight loss results by fixing your metabolism. Daily treat allowance included plus one social night per week with a built in alcohol allowance (If you drink alcohol). Incredible support and motivation in your inbox from our expert team should not be underestimated. Encouragement along with our professional advice helps make weight loss easier. Sign-up before midnight Thursday 25th of April. We calculate the right food level to fit with your key metabolism factors (age, height, weight, routine, activity level, fitness) meaning your plan suits your exact weight loss needs at this point in time. 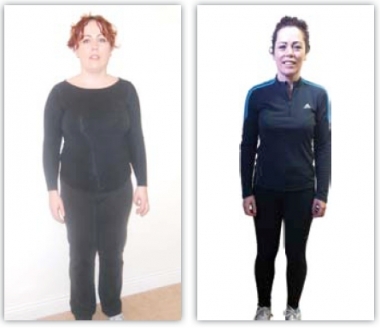 You wont get a better combination of a top class weight loss program coupled with daily support and motivation from our experienced team which include myself , I’m a Nutritionist, fitness trainer & creator of System 10 with decades of experience helping people like you improve their lifestyles and achieve great weight loss results. This program is about about REAL weight loss done the right way (no shortcuts and no gimmicks) giving you a better Metabolism and brilliant weight loss! It will build your energy and health. You will see dramatic changes in your shape. Losing 10 lbs will look and feel incredible because it is REAL fat. You will get at stubborn fat. You will find it easier to keep the weight off afterwards. You will learn how to eat properly, exercise right for weight loss and amazing other things about weight loss. After the birth of my second baby I saw an ad for System 10 and it caught my attention. I was eager to shift the dreaded post baby weight and System 10 sounded like a great weight loss programme. I decided that this was exactly what I needed and went for it. For me it was simple – no gimmicks – just follow the food and exercise plan selected for me – and it worked! I have managed to lose 44lbs* and 18.5% body fat. I was reading our local newspaper when I spotted a piece all about weight loss & your metabolism. As I read on it all seemed to be written for me. I picked up the phone & joined up. It was the best thing I did. I started a 10 week home program weighing 12st 7lbs. I felt totally unfit and had absolutely no energy at that time. 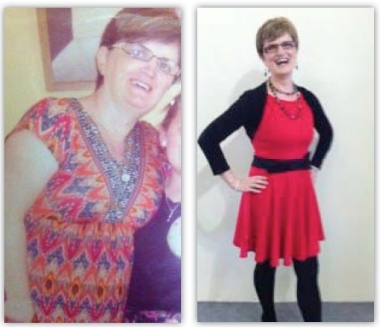 I lost 2st 7 lbs in the 10 weeks* and in the following weeks went on to lose a further 11lbs. I never felt hungry on the plan and the team was always there to support me and answer my questions. At 26 stone I was unable to exercise without being out of breath and was not able to play any sports. 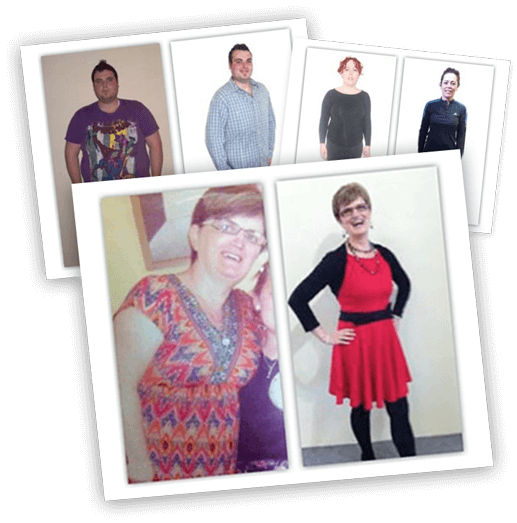 All this was about to change as System 10 put me on a regime of healthy eating and exercise plans which were designed to get my metabolism working correctly burning off my weight ever day and really reducing the shape of my body. Within a few weeks I was already losing weight and feeling much better. I was never hungry and I always had plenty of regular healthy everyday foods to eat. By the end I had lost close to 8 stone* and I ran a half marathon, something I thought I could never do. 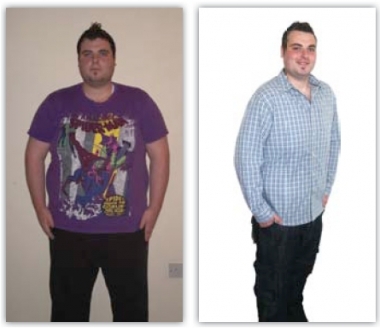 David created the System 10 weight loss program to fill the urgent needs he had identified from his work in weight loss. 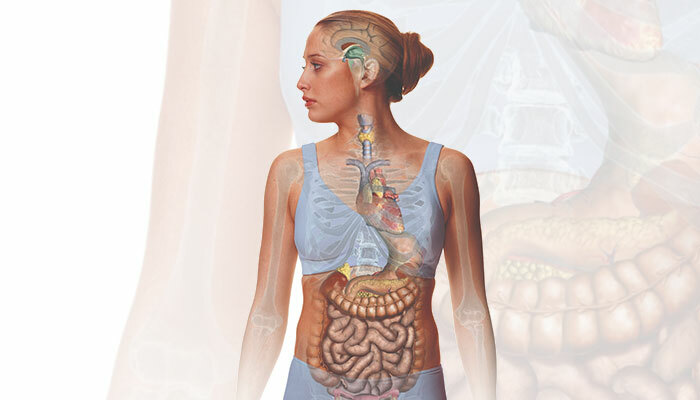 The plan focuses on fixing a person’s metabolism and combines it with balanced food and exercise. The outstanding results quickly became apparent especially for people who had tried everything before and failed. 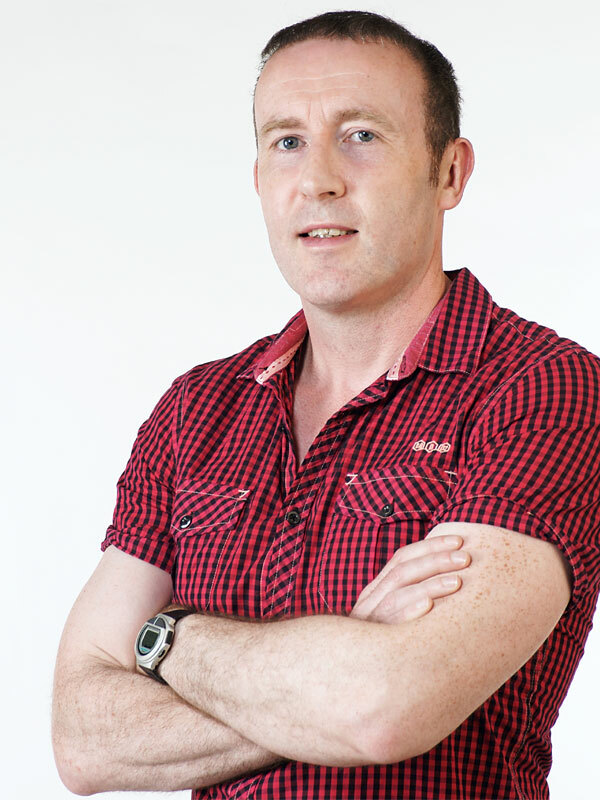 His work was featured on RTE’s very popular Nationwide programme and he’s been on TV3 several times discussing the link between Metabolism and weight loss/health. With extensive studies in metabolism, endocrinology (hormone balance), amino acid therapy, herbalism, emotional eating and psychology (including CBT and NLP), he is in the very unique position of being able to pull together ideas and solutions from a wide variety of fields in solving weight loss and health problems including slow thyroid, osteoporosis, fertility, chronic fatigue, fibromyalgia, high cholesterol, high blood pressure, PCOS and endometriosis. Perhaps the greatest qualities he can bring you are his attention to detail and determination to treat the cause and not the symptoms. He ruthlessly pursues the ‘why’ behind the ‘why’. He wants to bring you the latest most up-to-date research. He never gives up until he finds a solution and if it doesn’t exist he creates it! David’s main work now is in supporting System 10 weight loss consultants and clients through his clinics and online courses. He continues to study and do research and runs motivational talks and workshops. Receive your own weight loss program and discover the new you! © 2019 System 10 Weight Loss. All Rights Reserved.